I freaking love Harry Potter. I really do. Yesterday I counted and I have now read books 1 and 2 six times and am almost done with reading book 3 (my favorite) seven times. Each one after the first four will be 5, 4 and 3. I've re-read all the previous ones before getting started on the next and when I first started the first 4 were already out. I started when I was student teaching 7th grade. It was unavoidable if I wanted to relate to my students. Now it just seems essential summer reading just about every summer. I think I go about every other year. I remember leaving a bachelorette party at midnight and heading to the book store to get my copy of the Deathly Hallows. That couple is about to have their second child. I also remember ordering book #6 and having it sent to my parents' house, because I knew I'd be staying with them at the time. It was just 2 days after my 27th birthday. I had walked to the corner pharmacy to do some errands and when I got to the top of the hill of my childhood street and saw the mail carrier coming up, having finished her route on my street, I thought, "Wait--something really good's coming in the mail today...what is it----OMIGAWD MY HARRY POTTER!!!" And sprinted down the hill, rushing to the mailbox, tearing open the package and shouting as I got inside, "Mom! Mom! My Harry Potter is here!" Yup. And my brother and sister, ages 24 and 20, were just as excited. The last time I read the series from beginning to end was in March of 2008. Looking back, that was a massively important time for me. It had been 6 months since my dad had died and I was finally working my way out the fog that caused in my brain, my life and my spirit. Being a half orphan and reading about a full orphan was cathartic. 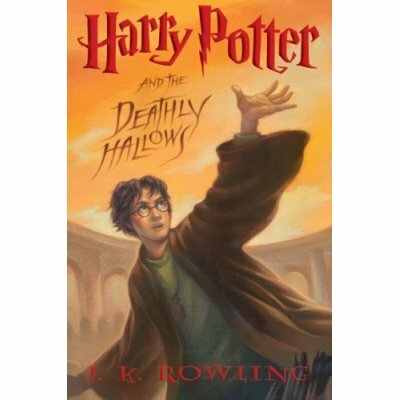 There's a lot of loss and sadness that's explored in these extraordinary kids' books and it honestly helps processing things reading about a fictional character facing similar emotions, even if his involved evil wizards casting nasty curses and mine involved evil cancers invading lung cells. Now it is 2010. I have a lot of free time this August for the first time in months, and the books are calling to me. It's another transition time, with a sister now in Souther California, my mother now settled in with a new job down in Lousiana and my brother about to be a father. I have steady employment for the first time since the beginning of the recession (I think it's steady, at least) and the stupor grad school put on my brain is finally, after a year's time, lifting and I'm coming into my own. It's a perfect time to escape into Harry's world and help me process all these life-shifts. Oh, and happy belated to J.K Rowling and to Harry. Harry would now be thirty, if he were real, by the way.